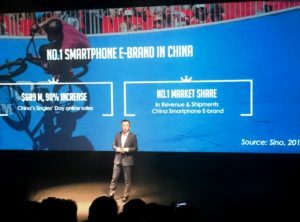 THE LAUNCH event for two innovative new smartphones unveiled by Huawei sub-company Honor has taken place at a conference centre in London’s Blackfriars, attended by at least 600 representatives from the industry and media from all over the world. The two new phones include Honor’s latest flagship device, the Honor View 10, which uses an AI processor that greatly optimises the phone’s system, can recognise different scenes to take better photos, and generally improves ease of use. It comes with a full HD 6-inch display on a 18:9 screen, a dual-lens camera (at 16MP and 20MP), 6GB of RAM, and a new EMUI based on Android 8. It also can be charged up to 50% in only 30 minutes. The V10 comes in navy blue or midnight black, and is available globally starting on January 8th for £449.99. 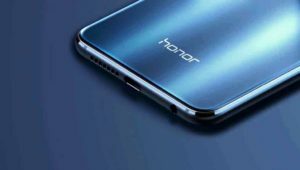 In addition to the V10, Honor also announced the more affordable Honor 7X, which likewise flaunts an impressive near bezel-less display with an edge-to-edge screen. The 7x has a 5.93-inch screen with an 18:9 ratio and features a dual-lens 16MP and 2MP rear camera, with an autofocus rate of 0.18 seconds. It also comes with 4GB of RAM and a 3,340mAh battery which the company says should last more than one day on a single charge. The 7X is priced at £269.99 and is available now. 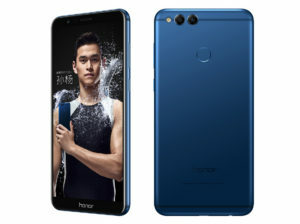 Honor president George Zhao delivered an engaging presentation at the launch, at one point demonstrating the 7x’s four-corner safety airbag design by thowing the phone over his shoulder and letting it fall to the floor with a thump, to audible gasps from the audience, before picking it up again and showing it to be still in full working order. Zhao also wanted to emphasise the brand’s targeting of a more youthful demographic, saying “We want to be friends with the young people”, following video footage of action sports and younger party people at outdoor events. There was even some live BMX bicycle demonstrations on the stage to introduce the presentation. The two smartphones have already been launched in China a few weeks ago, but this London event marked the official launch of the devices in the UK and European markets, where Honor look to be establishing a serious foothold in the coming new year and beyond.